In a decision with major ramifications, the Supreme Court on Wednesday said no vehicles which are not BS-IV emission compliant will be sold in the country after April 1, 2017. The bench of Justice Madan B. Lokur and Justice Deepak Gupta also prohibited all the vehicle-registering authorities from registering BS-IV non-compliant vehicles from April 1. "On and from 1st April, 2017 such vehicles that are not BS-IV compliant shall not be sold in India by any manufacturer or dealer, that is to say that such vehicles whether two-wheeler, three-wheeler, four-wheeler or commercial vehicles will not be sold in India by any manufacturer or dealer....," the court said in its order. "All the vehicle registering authorities under the Motor Vehicles Act, 1988 are prohibited for registering such vehicles on and from 1st April, 2017 that do not meet BS-IV emission standards, except on proof that such a vehicle has already been sold on or before 31st March, 2017," it added. Banning the sale and registration, the court said the health of the people was "far far more important than the commercial interests of the manufacturers". 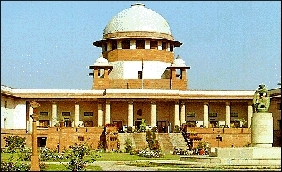 Referring to the arguments by amicus curiae Harish Salve, Solicitor General Ranjit Kumar and the counsel for the automobile manufacturers and dealers, the court said: "On balance, in our opinion, the submission of the ... Amicus deserves to be accepted keeping in mind the potential health hazard of such vehicles being introduced on the road affecting millions of our people in the country. "The number of such vehicles may be small compared to the overall number of vehicles in the country but the health of the people is far, far more important than the commercial interests of the manufacturers or the loss that they are likely to suffer in respect of the so-called small number of such vehicles." It further said that the manufacturers of such vehicles "were fully aware that eventually from 1st April, 2017 they would be required to manufacture only BS-IV compliant vehicles but for reasons that are not clear, they chose to sit back and declined to take sufficient pro-active steps". The top court order came on a plea seeking ban on the registration of BS-III emission vehicles from April 1, 2017, even as automobile manufacturers opposed the plea saying they needed a window to exhaust their existing inventory of BS III vehicles, comprising 16,000 cars, 96,720 trucks, 40,000 three-wheelers and 6,71,000 two-wheelers. Even the Central government had earlier told the court on March 27 that March 31 deadline was the deadline for stopping the production of BS III emission norm vehicles but there were no curbs on their sale beyond the deadline of halting their manufacturing.